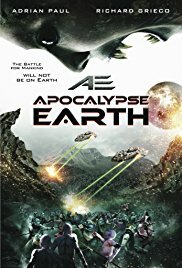 A group of refugees from Earth trying to survive on a hostile alien planet. Awful terrible SF. Sometimes it seemed as if the local amateur film club put this together. Blurred incoherent story, terrible acting, outdated and terribly bad Special Effects. A lesson I’ve learned from this : from now on I’m avoiding Asylum movies like the plague. Even the inflated balloons of Lea looked fake. Forget this movie as soon as possible. Actually I forgot it that quickly, I even don’t know what I’m typing about right now….